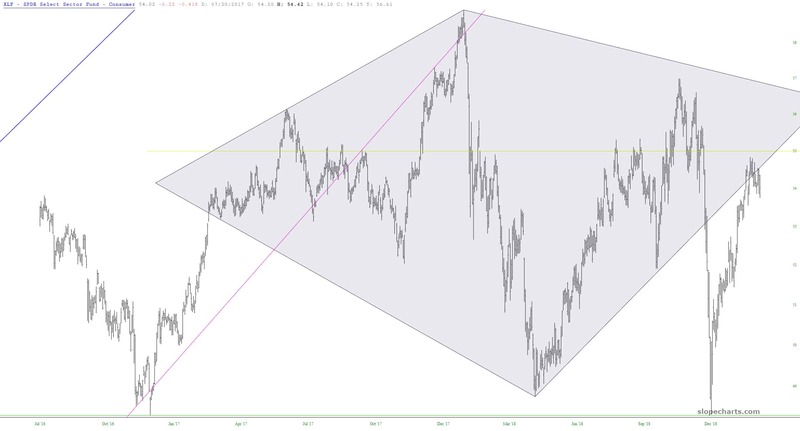 Just a reminder that the consumer staples ETF symbol XLP is still sporting one of the largest and cleanest diamond reversal patterns I’ve ever witnessed. Haven’t looked at the XLP diamond in a little while, so let’s take a fresh look. The counter-trend rally has pushed prices well into the diamond, but we’re starting to get repulsion away from the $55 level. There is no shortage of interesting patterns right now. 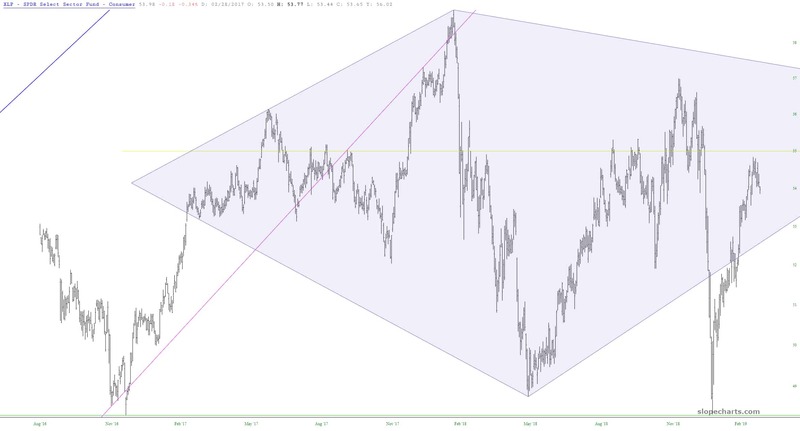 One of my favorite continues to be the Consumer Staples Select, which is featuring a very handsome diamond reversal pattern. 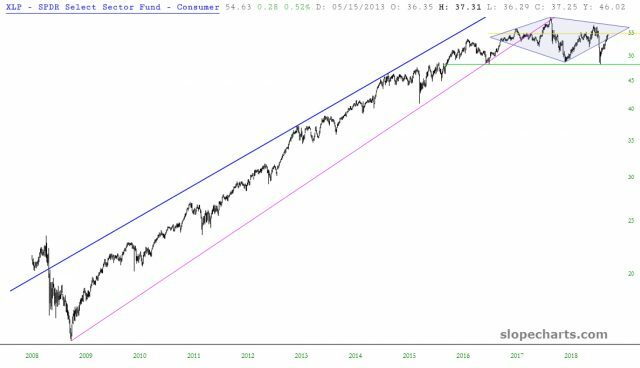 Here you can see it on the long-term chart. I have used the polygon tool in SlopeCharts to highlight it. It seems an eerily quiet day with not much to say – – perhaps tomorrow morning’s job report will shake things up – – so I’ll just share this chart of CBS, which I think has created a beautifully well-formed diamond reversal pattern. On the intraday chart, it looks like the Dow Jones Composite is painting out a diamond, which is one of my favorite reversal patterns.